Know the facts, connect with resources, and get one-on-one support to help you address known or suspected issues with prescription medicine abuse with your child. 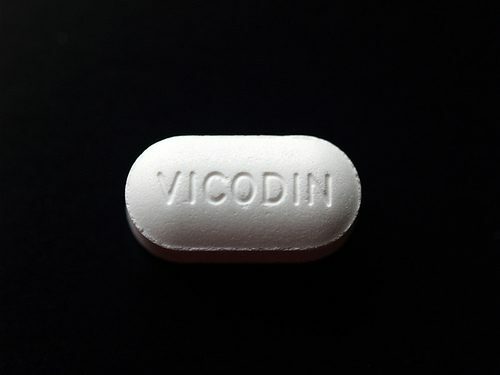 What are some brand names and slang terms for prescription pain relievers? Are There Alternatives to Opioids for Pain? In addition to relieving pain, prescription pain relievers can also cause euphoria or feelings of well being. Prescription opioids are powerful drugs with a high risk for dependency. Taking them in high doses, and/or in combination with other substances — particularly alcohol — can result in life-threatening respiratory distress and death. Prescription pain relievers can cause drowsiness, constipation and slowed breathing. Taking a large single dose of prescription pain relievers can cause severe respiratory depression (slowed breathing) that can lead to death. Use of prescription pain relievers with other substances that depress the central nervous system, such as alcohol, antihistamines, barbiturates, benzodiazepines, or general anesthetics, increases the risk of life-threatening respiratory depression. Recent research suggests that, as a whole, opioids are not significantly better than non-opioid pain relievers in relieving acute and chronic pain.2 This means that alternative options should first be explored with healthcare providers. If those first-line options are not effective, taken exactly as prescribed, opioid pain relievers can manage pain effectively. But chronic use or misuse of opioids can result in physical dependence and addiction. Dependence means that the body adapts to the presence of the drug, and withdrawal symptoms occur if use is reduced or stopped. Tolerance to the drugs’ effects also occurs with long-term use, so a person misusing prescription opioids must take higher doses to achieve the same or similar effects as experienced initially. Addiction is a chronic, relapsing disorder characterized by compulsive drug seeking and use. The epidemic of prescription opioid misuse and abuse has led to increased use of heroin. 1NIDA. “Opioids.” National Institute on Drug Abuse, , https://www.drugabuse.gov/drugs-abuse/opioids. Accessed 2 Nov. 2018.